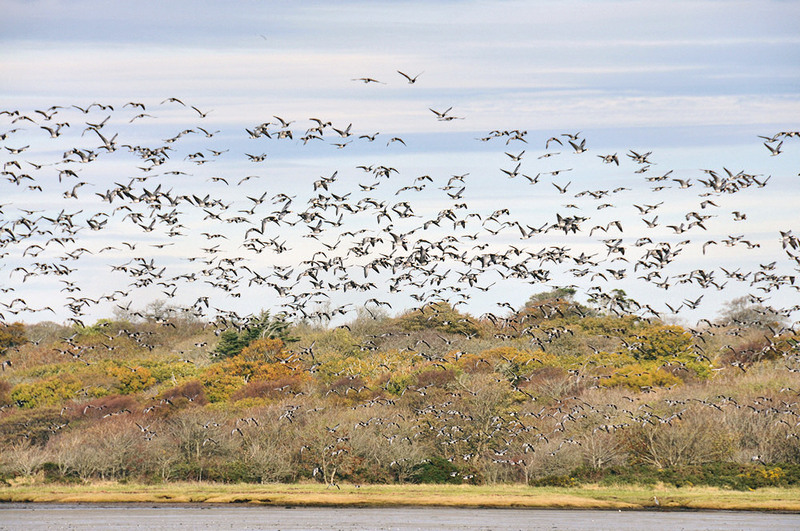 The impressive show of the Barnacle Geese visiting Islay over the winter. Here a large group has been spooked at the top of Loch Indaal, flying past the trees near Islay House at Bridgend. This entry was posted in Cloudy Weather, Landscape, Repost, Sea Loch, Sunny Weather, Wildlife and tagged Barnacle Geese, Bridgend, Bridgend Woods, Islay, Loch Indaal by Armin Grewe. Bookmark the permalink.